Grocery store shelves in the US are packed with food items that are banned in other countries. 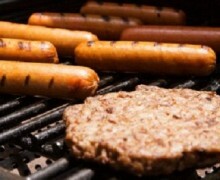 Arsenic-laced chicken, ractopamine-tainted meat, genetically engineered papaya, milk and dairy products injected with recombinant bovine growth hormone –these are just a few of the high-end delicacies shoppers can find in the US and people wonder why Americans suffer from obesity and skyrocketing disease rates. At the same time, Scottish Americans can’t buy haggis at restaurants come Burns Night (Jan. 25) because the traditional Scottish dish contains sheep’s lung, a food banned in the US since 1971. In 2011, France banned ketchup from its school and college cafeterias in an effort to promote healthy eating and protect traditional Gallic cuisine. 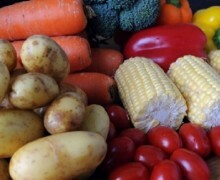 “France must be an example to the world in the quality of its food, starting with its children,” said Bruno Le Maire, the agriculture and food minister. In fact, ketchup is allowed with only one dish: French fries. The tomato-based condiment is banned on traditional French dishes such as veal stew and beef bourguignon. The first bottle of Heinz was produced in America in 1876. 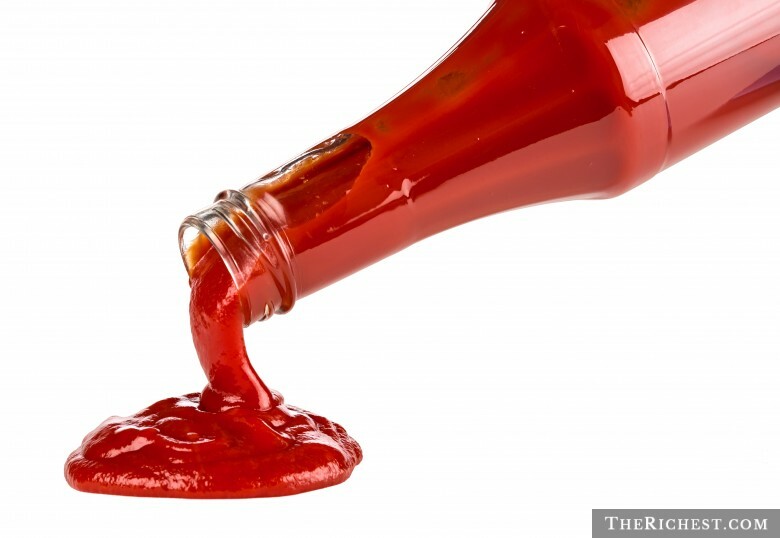 President Reagan’s White House considered ketchup a vegetable. No word on whether French school cafeterias will be serving heaping piles of foie gras. According to the Daily Mail, Somalia’s militant Islamist fighters, al-Shabaab banned samosas in 2011. The group claims the popular pastry snacks are offensive because they are too Christian; apparently the triangular snack resembles the Christian Holy Trinity. 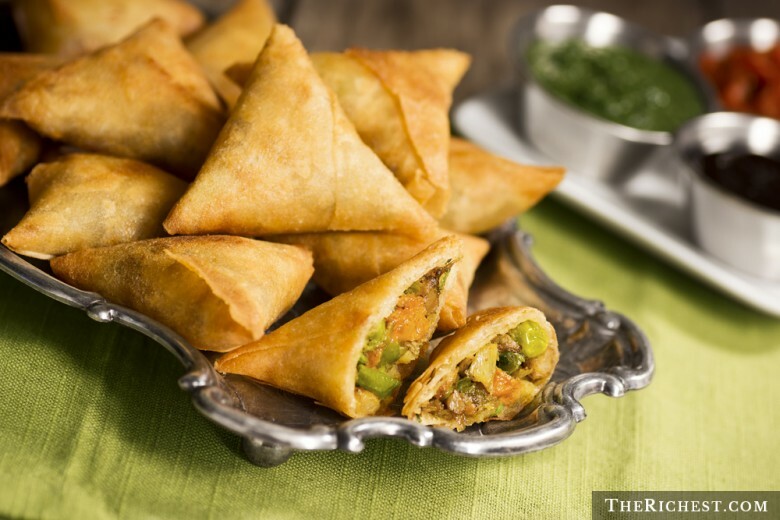 While the bizarre ban was initially believed to be a hoax, Kenya’s Daily Nation confirmed that the samosa ban was in effect. The BBC later reported, however, that the ban “might” have been motivated by vendors selling samosas with rotten meat. The crispy snack originated in Central Asia sometime before the 10th century and was introduced to India in 1300. 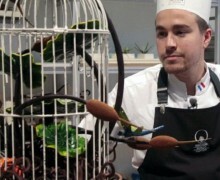 The ortolan songbird is a force-feeding delicacy that was prized in France until it was banned from restaurant menus in 1999. 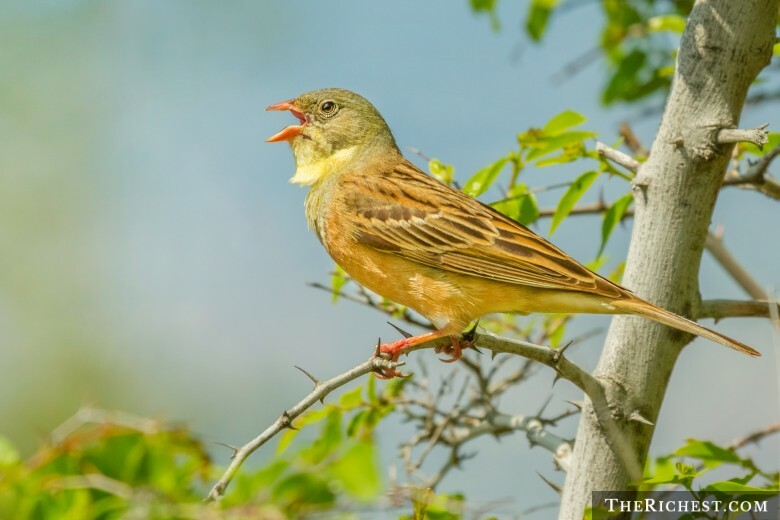 The ortalan bunting was not only overhunted in France, but the preparation of the dish is considered torturous and cruel. The ortolan songbird eats constantly when it is put in the dark, so French chefs place it in a box with millet until it is overly fattened. The tiny bird is then drowned in brandy and consumed in a single steaming mouthful –head, bones, and body. 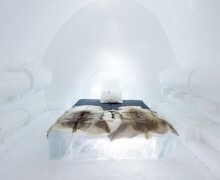 “It is enveloped in fat that tastes subtly like hazelnut,” says chef Michel Guerard. Before devouring the ortalan the eater puts a white napkin over his head to conceal the act. Farm raised salmon is banned in Australia, New Zealand, and Russia. Why? The fish are raised on a diet of genetically engineered grains and antibiotics. This concoction leaves the fish with greyish flesh, which is then transformed into a bright pink with the use of petrochemicals that haven’t been approved for human consumption. 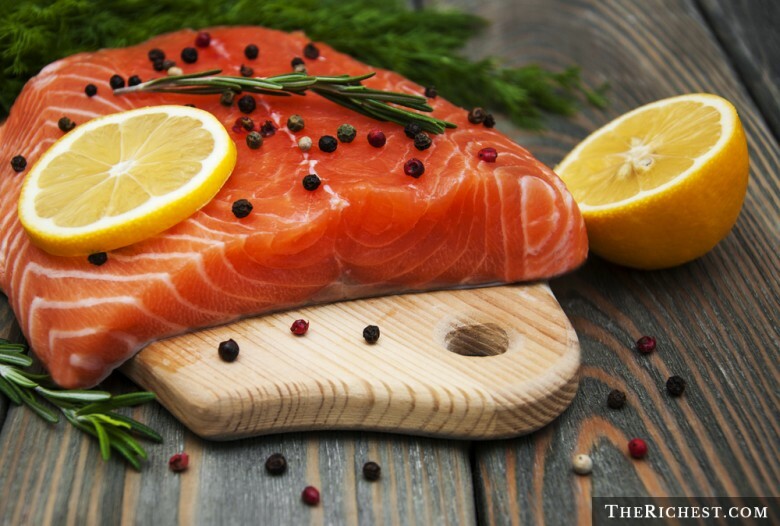 Farm raised salmon have higher levels of harmful compounds such as PCBs, dioxins, and mercury than wild salmon, and they’re more likely to be infected with lethal fish viruses. Moreover, 90 percent of toxins from farm raised salmon bioaccumulate in the body and are expelled through breast milk. 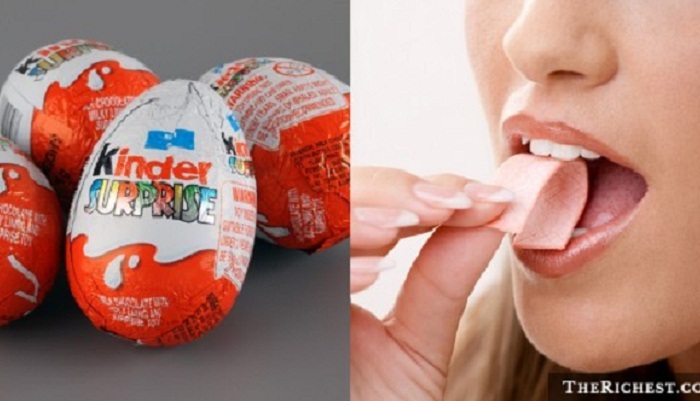 Kinder Surprise Eggs have been banned in the US since 1938. 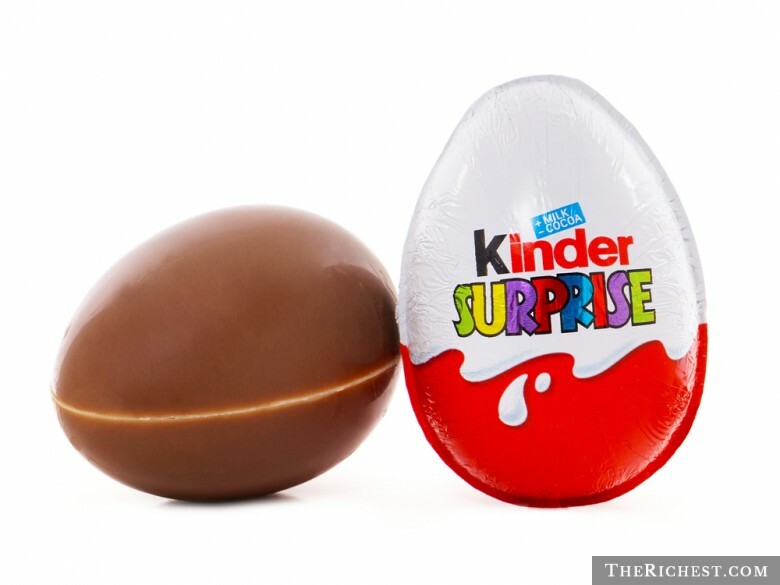 Manufactured by an Italian company called Ferrero, the chocolate egg filled with a surprise toy has been called the “biggest kids candy in the world.” Nevertheless, kids can’t enjoy these treats in the US In 1938, the Food, Drug, and Cosmetic Act prohibited any non-nutritive component from being embedded in a confectionary product. To put it another way: small toys embedded in chocolate treats are chocking hazards. Still, these beloved chocolate candies have legions of ardent fans; in 2013, a Winnipeg woman was fined $300 for crossing the Canadian-US border with a Kinder Surprise Egg. Tens of thousands of eggs are seized every year by US customs. Haggis, a traditional Scottish staple, has been banned in the US since 1971. 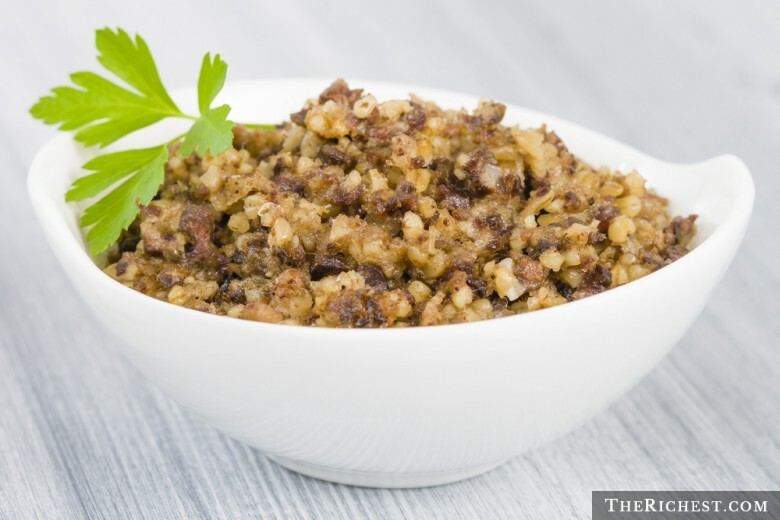 Robert Burns, Scotland’s national bard, called haggis the “great chieftain o’ the pudding race,” but it’s only great if you enjoy sheep’s stomach stuffed with diced sheep’s liver, lungs and heart, oatmeal, onion, suet, and seasoning. The gruesome mush of sheep’s innards isn’t for the faint of heart, and most people probably wouldn’t even call it “pudding.” The USDA banned haggis because of one key ingredient: sheep’s lung. While it’s possible to find an Americanized, pate-like version of haggis in the US, without sheep’s lung it’s not authentic. As Robert Burns said, it’s the “gushing entrails” that make the dish a delicacy. No luxury food has courted as much controversy over the years as foie gras. The specially fattened duck or goose liver is prized by chefs for its rich, elegant flavor. 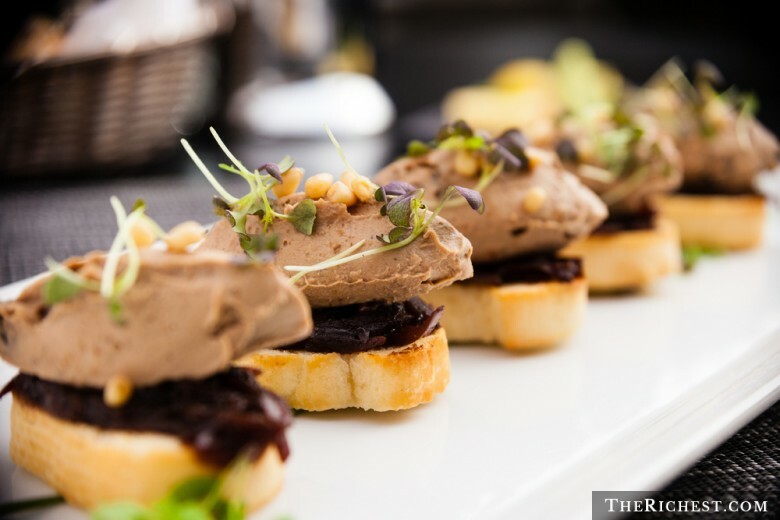 Foie gras was banned in California in 2012, but a federal judge overturned the ban in 2015. The buttery, hyperfattened dish is illegal in Israel, Argentina, Australia, India, and parts of the US Why? The production of foie gras is considered inhumane and cruel by animal rights and welfare activists. Foie gras is created by force-feeding birds more food than they would eat in the wild. Over-feeding creates large deposits of fat in the liver. 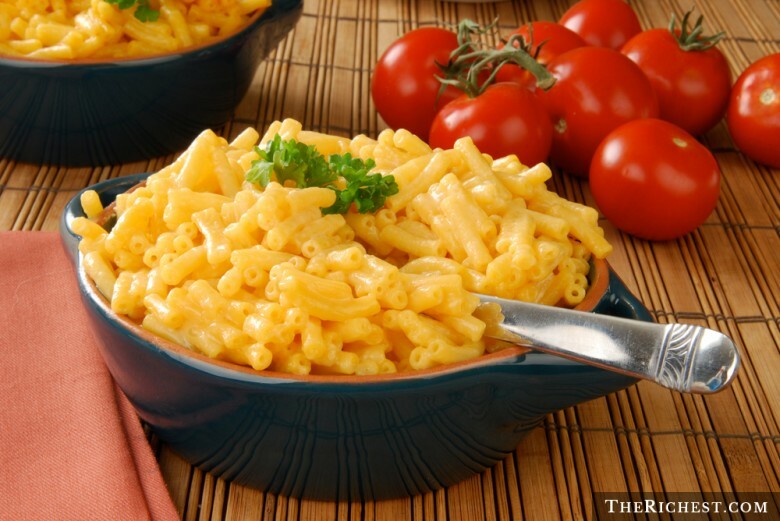 Kraft Mac & Cheese is a childhood staple in kitchen cupboards across America. Most of us believe its radioactive orange color is what made it such a delicious after-school snack. While mac and cheese isn’t illegal in Norway and Austria, boxed mac and cheese, which features a certain type of food coloring (Yellow #6) is banned. Processed, artificial food dyes such as Yellow #6, Yellow #5, Red #40, and Blue #2 have been linked to cancer, birth defects, behavioral problems, and allergy-like hypersensitivity in children. Kraft recently announced that it is doing away with artificial food dye, replacing the alien coloring with paprika, annatto, and turmeric. Singapore is a strict and squeaky-clean place. Some might even say the country’s rules border on fascism. The Rattan Cane is a legally sanctioned form of punishment, and smoking in public, littering, and jaywalking are prohibited. Singapore has stringent food laws as well. People are banned from eating Durian on the subway; the sour, funky smelling aroma of the world’s most divisive fruit is enough to make a person pass out. However, the Asian city-state is best known for its ban on chewing gum. The gum ban was introduced in 1992 in an effort to make the city cleaner. Gatorade, Mountain Dew, Sunkist, and Powerade –you won’t find these citrus flavored sodas and sports drinks in Europe or Japan. 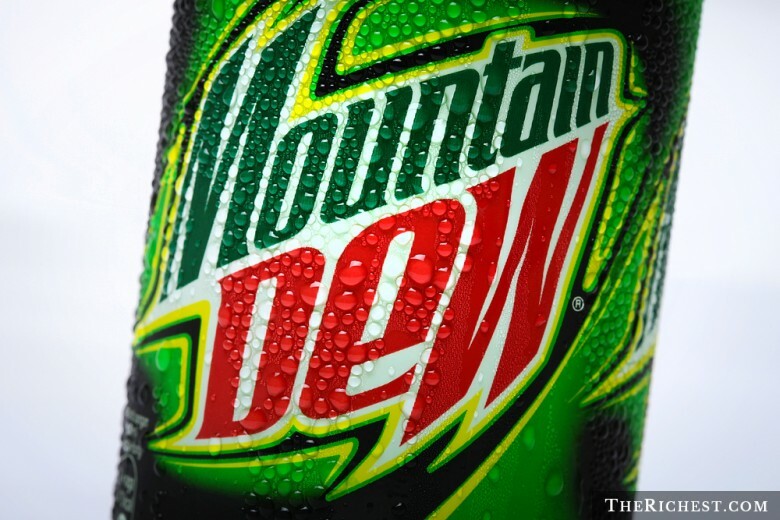 Brominated Vegetable Oil (BVO), a main component in these beverages, was originally patented by chemical companies as a flame retardant. While the FDA approved BVO for use in 1977, it has been linked to organ damage, birth defects, growth problems, hearing loss, and schizophrenia, and therefore banned in many countries around the world. 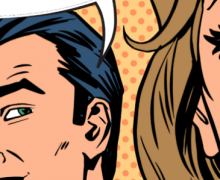 Animal studies have also found that BVO causes reproductive and behavioral problems in large doses, which is something to think about if you’re a gym rat who likes to power up after a workout with a 32 oz. bottle of Gatorade.